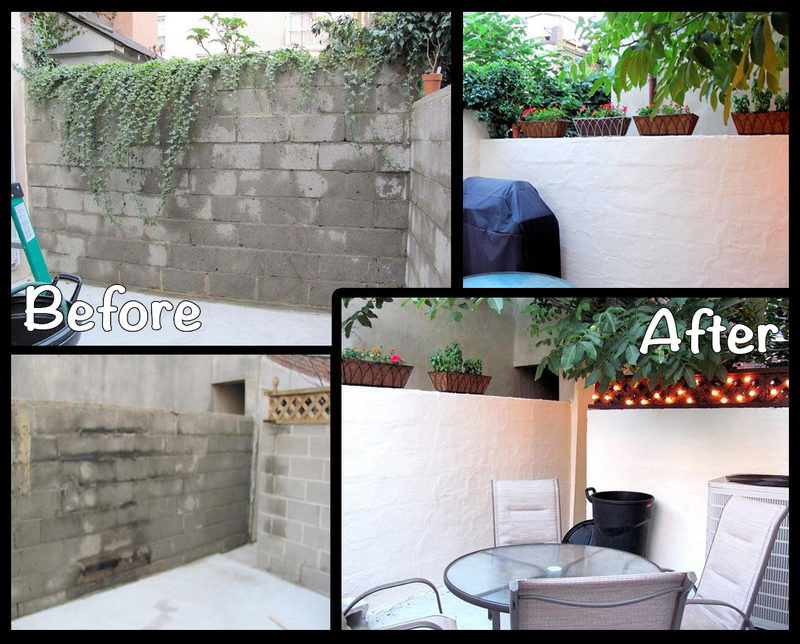 I bought my house in September a few years back and because it got cold out pretty quickly that year, I couldn’t do much to the small patio area off the kitchen. I did have months to stare at it and swear I would make it pretty. It was so boring! Gray cinder block with moss and the neighbors ivy creeping over the wall. I was out there the first warm weekend, and the next eight weekends after that. I really wanted to hide the grooves between the bricks. I felt that if I just painted without filling in the grooves, it would look like elementary school or Costco walls. I bought some tools and quickcrete and hoped for the best. I called it “mucko” – mock stucko. I originally was going with a combination of “faux” and “stucko” but that just sounded naughty! I had cuts, sores, bruises, sunburn, and I was exhausted. But I think it was all worth it. Welcome to my website! I’m Keely, project manager by day, Pinterest addict by night. 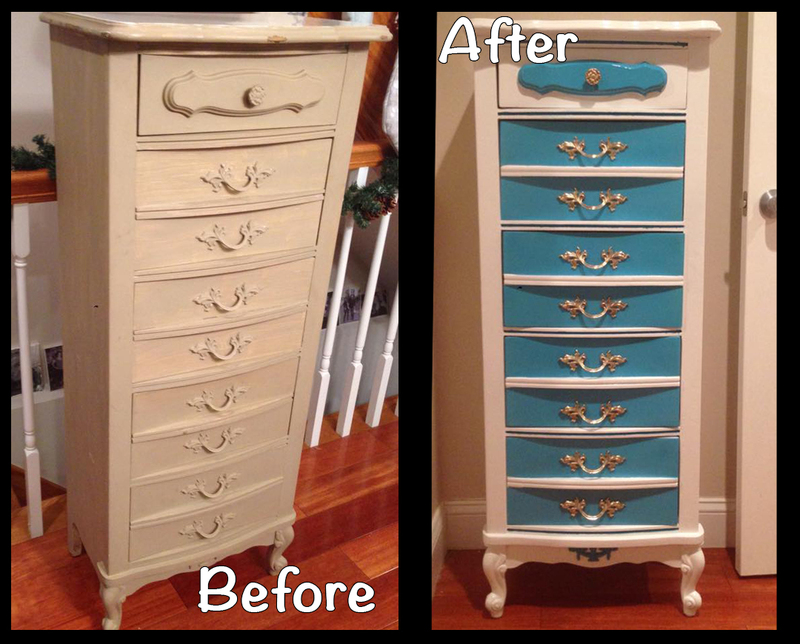 I love any sort of DIY project and have recently started buying old furniture from CraigsList and thrift shops to refinish for my house. A few years ago, my job took me from a large apartment in Connecticut that fit lots of furniture to Philadelphia where I rented the first apartment I could find with a washer dryer hook up and parking. It was $1600 a month and about 500 sq. ft. A year after selling or donating most of my furniture to fit into the studio apartment, I purchased a three bedroom row home with a finished basement. I had a lot of empty rooms. I was pretty broke after buying the house so most of the furniture I got for the new place was used Ikea stuff I found on CraigsList. Ikea furniture can be great, but when its been moved a few times, its not as sturdy and it looks a bit like college furniture. Now that I’m nearly halfway through my 30s, I wanted a more refined, mature look for the house. At first I tried some nice bookcases displaying things like wine glasses and the shiny bar accessories we received as wedding gifts. Mature people have nice barware, right? Or does that just make me look like an alcoholic? I got the bookcase from Target because I was impulsive and thought it would work on the end of my refrigerator. I’ll post a picture of it sometime soon, it’s pretty nice for an assembly required piece. 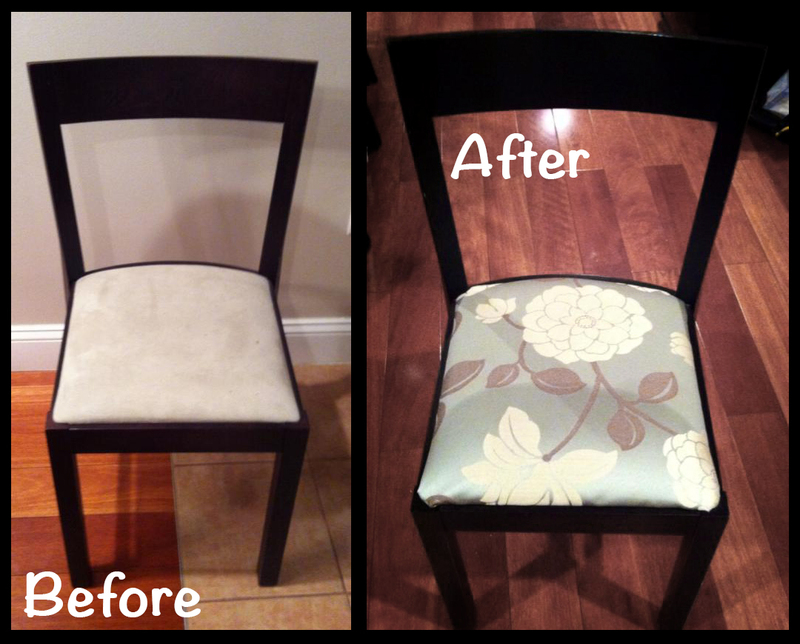 Then I discovered Pinterest and all its DIY glory. I’ve pinned way more projects than I will ever attempt – I’m pretty sure I’ve never actually looked at anything I pinned to my Fitness and Health board, but it makes me feel good that I’ve at least pinned them so that someday when I seriously consider giving up the good things in life such as mac and cheese, I’ll have a collection of sites to start reviewing. Maybe the mashed cauliflower grilled cheese will be life changing, I’m just not prepared for that type of life change today. My love of cheese aside, I began attempting the more physical projects – reupholstering the dining room chairs and making no-sew valances. 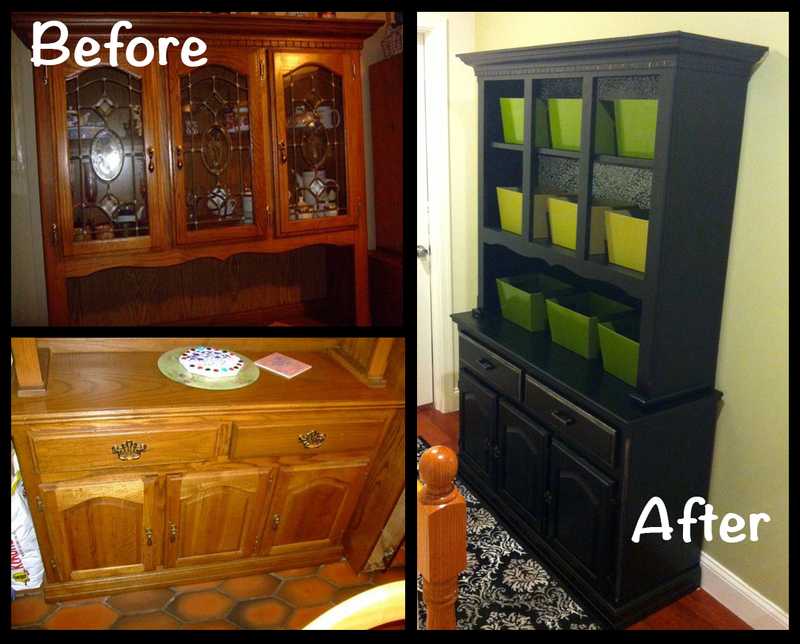 Although I can’t give Pinterest all the credit for my love of rehabbing and redecorating, its in my genes. I have some pretty awesome parents. Check out their site here: http://www.malonestudio.com. My mom has her masters in woodworking. A few months ago, the closest I thought I would come to woodworking was mastering the use of chopsticks. And while I’m still terrified of using a saw or a raw block of wood, my need for additional storage has lead me to buy tools from Lowes I didn’t know existed. I love living in the city, but one problem I have with these skinny South Philly row homes – not many closets! I tend to buy some items in bulk (toilet paper, laundry detergent, etc.) when its on sale and I have the right coupon. And I have stuff I just don’t want to keep in a bedroom closet like linens and towels. This led me to look at china cabinets and similar pieces that would provide some storage space. This summer I had surgery on my right (dominant hand) wrist and I was home on the couch for two weeks watching HGTV like my life depended on it. I was inspired by Property Brothers, Love it or List, and my new favorite, Fixer Upper. I was also heavily medicated and envisioned all the changes I wanted to make to my house. Fortunately, my mom was staying with me for a few weeks and was able to talk me out of attempting to repaint my kitchen cabinets with my left hand. I haven’t done much refinishing since the surgery, my arm still isn’t great, but I have bought a few pieces to refinish once the weather gets a little nicer and I can use spray paint outdoors again.